"We are currently accepting NEW PATIENTS!" We would like to welcome you to our office. Our patients are our most important asset and we strive to develop long-lasting, trusting relationships. We understand that a visit to the dentist can be a difficult and apprehensive experience. Our dental team provides exceptional care as your comfort is important to us and we will cater to your individual needs. We believe our patients should have as much information as possible in order to make important, informed decisions regarding their oral health and treatment options. We tailor treatment plans to fit your specific needs since no two cases are alike. 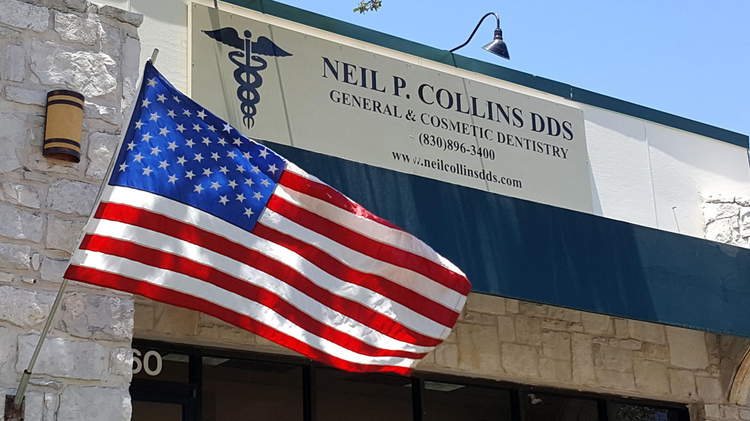 Dr. Collins will listen carefully to you and answer all your questions thoroughly. Communication is essential and nothing is done until you have a clear understanding of your dental treatment and options. You will also have the opportunity to meet with our Office Manager to discuss insurance benefits and payment options. Our practice is devoted to comprehensive restorative care and preventative maintenance. Together we will help you maintain optimal oral health. We invite you to be a part of our dental family!